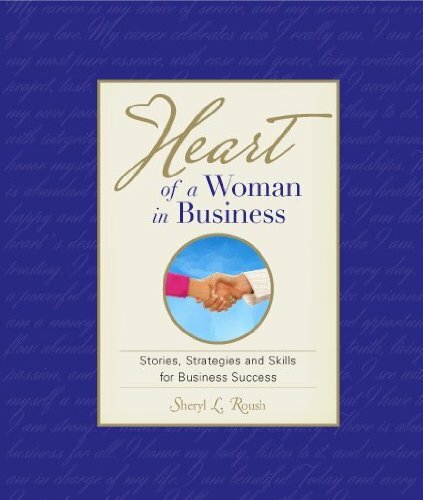 Synopsis: Heart of a Woman in Business is an inspirational collection celebrating working women and their unique contributions to the global workplace. This here s how, sisters-sharing-with-sisters book shares their authentic stories, and offers here s how and I did it, you can too! Selections offer strategies, practical information, career-bolstering lessons, insights, affirmations, poems, prayers and quotations. Whether you already own a business, planning to start one, or working in a job you love. Chapters include: The Driving Force; Fulfilling Your Soul; Polishing Business Skills; Workplace Wit; Best Practices; Transitions from the Day Job to Your Own Job; The Entrepreneurial Spirit; Business Builders; Nurturing Our Mind, Body & Spirit; and Whispers of Wisdom. Submissions include: career dreams come true; self-worth; goal setting; the history of women in business and as inventors; leadership and ambition; humor in the workplace; change, stress and time management; inner guidance and intuition; business promotion; hiring and firing; ways to rejuvenate and recharge; fitness tips at your desk; mid-life career transitions; and being a working mother. The 240-page book features top talent and experts, including: celebrity personal trainer Jeanie Callen Barat; financial alchemist Morgana Rae; presentation skills from Juliet Funt (daughter of Candid Camera s Alan Funt); having a leap of faith, from Sharon Wilson of Chicken Soup for the Soul: Life Lessons for Mastering the Law of Attraction; Life at the Pentagon from Jo Condrill; Hill Street Blues costume designer Karen Hudson; and sage advice from Oprah. Quotations of inspiration include: Mary Kay Ash; Debbie Fields; Steve Forbes; Michael Gerber; Lousie Hay; Kathy Ireland; Andrea Jung, Avon; Anthony Robbins; Martha Stewart; Donald Trump; Madam C.J. Walker, first black female millionaire; Marianne Williamson; plus the Founders/CEOs of Amazon, com, Apple, Craig s List, Dell Computer, Google, McDonald s, Microsoft, Starbucks; The Body Shop, Virgin Airlines, and Wal-Mart. About the Author&colon; Sheryl Roush is an internationally top-rated speaker, and 8-time business entrepreneur since the age of 16. As a conference speaker she has presented on programs alongside Olivia Newton-John, Geena Davis, Jane Seymour, Joan Lunden, Marcus Buckingham, Mark Victor Hansen, Howard Putnam, Robert G. Allen and Suze Orman. She has authored 12 books.